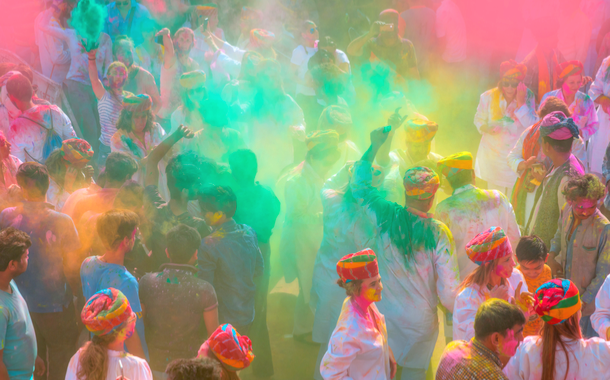 Colours have profoundly defined the culture and artistry of India through history and belief - The belief that colours have the power to evoke emotions and positivity has made its way through celebrations across various festivals. And when you have a festival that especially celebrates the importance of colours, the magnitude is unimaginable. Holi, the most colourful festival of the year is just around the corner and its rendition across the country is aesthetically unique - each rendition beautifully reflects the culture of the particular land. 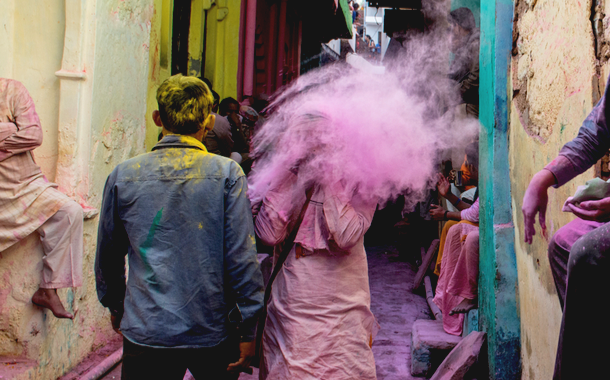 Here’s how the festival of Holi is celebrated across different parts of India. Mathura, the land where Lord Krishna was born; Vrindavan, the land where he grew up. Krishna is the common connection between these two lands, and therefore there are beautiful similarities in their celebrations as well. 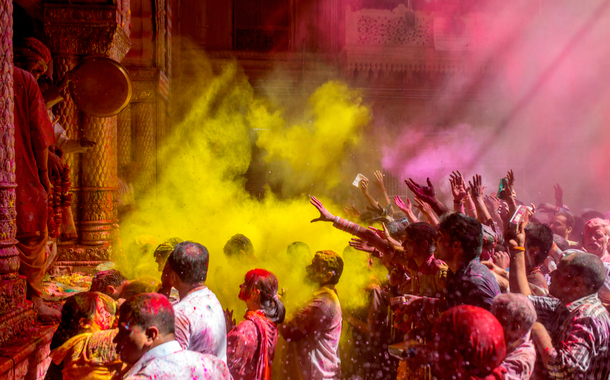 On the day of Holi, colours are thrown at hundreds of devotees who have gathered at the Banke Bihari temple in Vrindavan and at Dwarkadeesh temple in Mathura. These celebrations last for a week and should be experienced at once in your lifetime. The famous Holi of Barsana is played at Sri Radha Rani temple in Mathura. 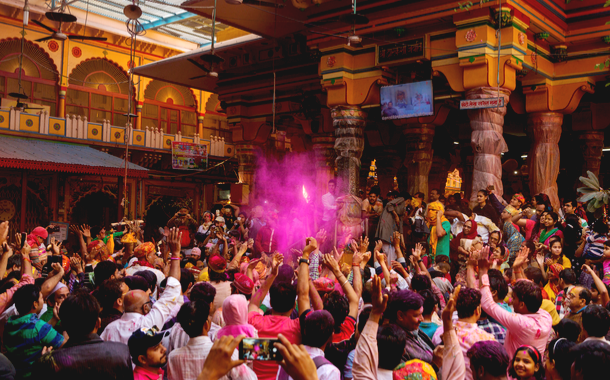 Close to Mathura lies Nandgaon that celebrates this festival through a unique ritual called the ‘Lath Maar Holi’. 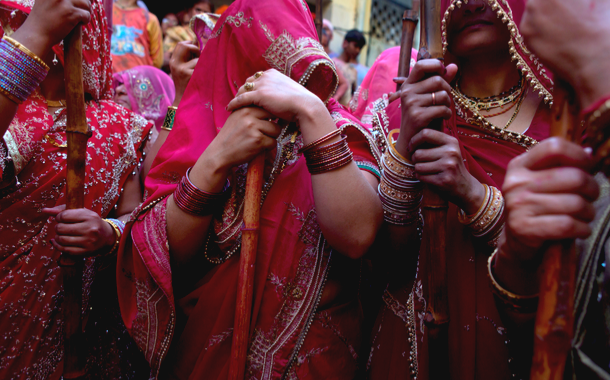 Women during the celebrations beat the men with sticks, and men attend the event with shields. The custom is an interpretation of the iconic Holi celebrations between Radha in Krishna. On the day of Holi, the ghats of Varanasi are brought alive in the form of colours, flowers and music. Visit the famous Dashashvamedh Ghat during the day to experience this spectacle, and in the evening witness the visual brilliance and power of the Ganga Aarti. Anandpur Sahib in Punjab gives a beautiful twist to Holi in the form of Holla Mohalla. 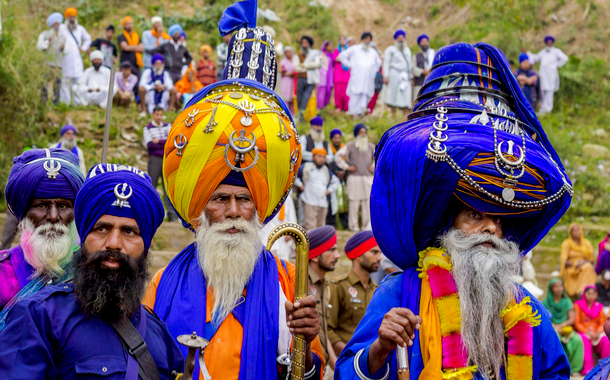 Three days after Holi, the Sikhs celebrate the warrior spirit of their culture through an extravagant display of courage and martial prowess. 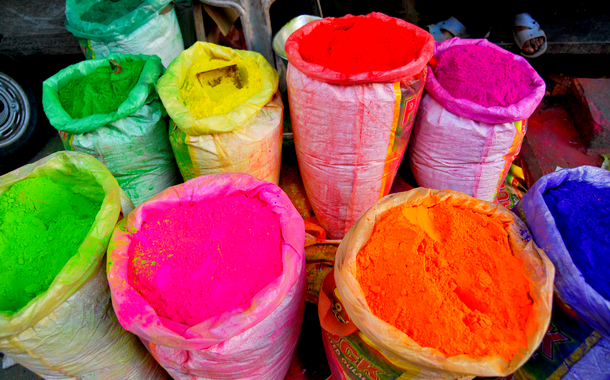 Holi, in the form of Basant Utsav, was introduced to this land by Rabindranath Tagore. The Utsav celebrates art, music, culture and festivities through colours at the famous Vishawabharati University here. Holi in Udaipur is celebrated with royalty and grandeur. The royal family of Mewar participates in celebrations that begin with Holika Dahan and is followed by a vibrant rally of camels, elephants and horses.